During the pre-processing, the software automatically calculates the placement of photopolymers and support material from a 3D CAD file. During the printing, the resin 3D printer jets and instantly UV-cures tiny droplets of liquid photopolymer. Fine layers accumulate on the build tray to create several highly-detailed 3D printed products. Where overhangs or complex shapes require support, the Polyjet 3D printer jets a removable support material, named FullCore 750. The process of fine layer polymerization is repeated until the object is finished. After the photopolymerization is completed, the batch is placed under a pressurized water jet. This allows any excess liquid or supports to be removed with a few human interactions. The final product has a naturally smooth surface which can be polished further to create near full transparency for the clear resin. 3D printed models and parts are ready to handle and use right out after the cleaning process, there is no need for post-curing. Eden and Connex resin 3D printers are able to handle different grade of resins and colors in the same 3D printed object. They are using the Polyjet Matrix technology which jets multiple model materials simultaneously and creates composite Digital Materials on the fly. The Polyjet 3D printing process is highly beneficial for those who need to produce accurate parts for prototyping or low-volume production. It also allows to create complicated and highly detailed designs that would not be possible with any other technology, due to the limitations of the traditional manufacturing processes. PolyJet is used by automotive, electronics, consumer goods, medical development, and clothing manufacturers, as well as for creating 3D models for use in movies such as Coraline. PolyJet technology 3D prints in a wide variety of materials, in order to create for instance ABS-like prototypes, ergonomic tooling, biocompatible surgical guides or realistic prototypes that closely resemble finished products. All Polyjet 3D printing materials are photopolymers, which is a different class than thermoplastics or elastomers used commonly in many industries, but they can simulate those materials visually, thermally and mechanically. Polyjet photopolymers are all REACH-compliant and all environmentally safe. Models are precisely printed in layers as fine as 25 or 16 microns for smooth surfaces and complex geometries. Material properties range from rubber to rigid, transparent to opaque, neutral to vibrantly colored and standard to biocompatible. We also offer online 3D printing of Elastomeric, Rigid and Flexible Polyurethane, but using another 3D printing resin technology: CLIP (Continuous Liquid Interface Production). Since Polyjet 3D printing materials are able to create highly-detailed and smooth parts, it is commonly used for presentation and display models, form and fit prototypes and patterns. While testing results will differ from those of production plastics, these materials can also be used to simulate products in functional testing for early performance evaluations. You might also be interest by this comparison between Selective Laser Sintering and Polyjet 3D printing. 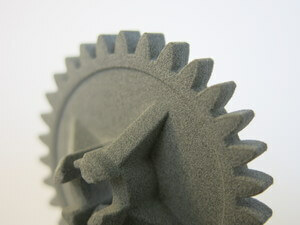 Sculpteo offers you the best online 3D printing service for your Polyjet parts. Thanks to our expertise, you can order resin objects in a plethora of coloring options. The available colors can obtained through a couple different processes and you will obtain a quote instantly. The objects are printed directly in white or translucide depending on the options chosen at checkout. The pieces exit the printer monochromatic but can undergo post-process coloring. The opaque colors available are: white, black, thalassa blue, intense red, marron glacé, valley green, orange, light yellow, pearl grey, neon yellow, neon pink, neon orange. For prints in different colors and finishings in translucide resin, you must fill out a request with our sales team. It’s an easy process, just fill out a contact form. 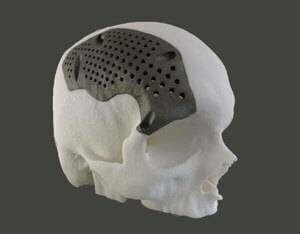 PolyJet resin material is adapted to at-home post treatment. Thus, you can easily make your own finishes on your object: polishing, dyeing, painting, varnishing, and more. For at-home finishing and polishing techniques, we invite you to take a look at our tutorial on resin polishing. 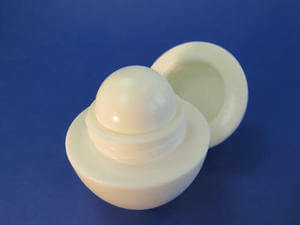 VeroWhite is a rigid opaque resin and is the most common used Polyjet 3D printing material. This multi-purpose material can be used for visual models, engineering prototypes or product assemblies. The parts are white but can be colored in 11 different colors. VeroClear is a translucent / clear material that simulates PMMA, which is commonly known as acrylic or Plexiglas. The parts come out of the 3D printer translucent but can be polished in order to get clear products.